This is a Tomohari Hamada custom Swayback whittler. 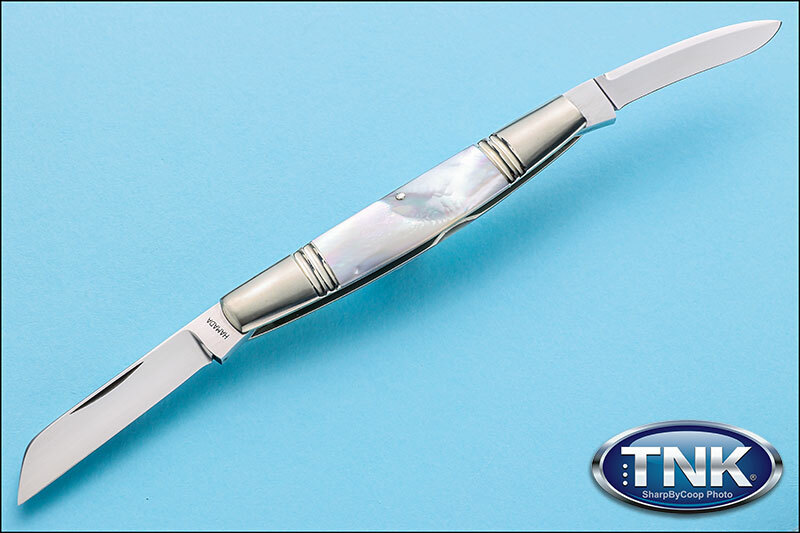 It features a 416 stainless frame with Presentation Grade Mother of Pearl scales and hand filed backspine and Nickel Silver double bolsters. Hard leather storage case. Blade Lengths: 2.25" & 2.18"
Case - Hard leather storage case.